7.5" X 4" X 2" embroidered and studded clutch purse. 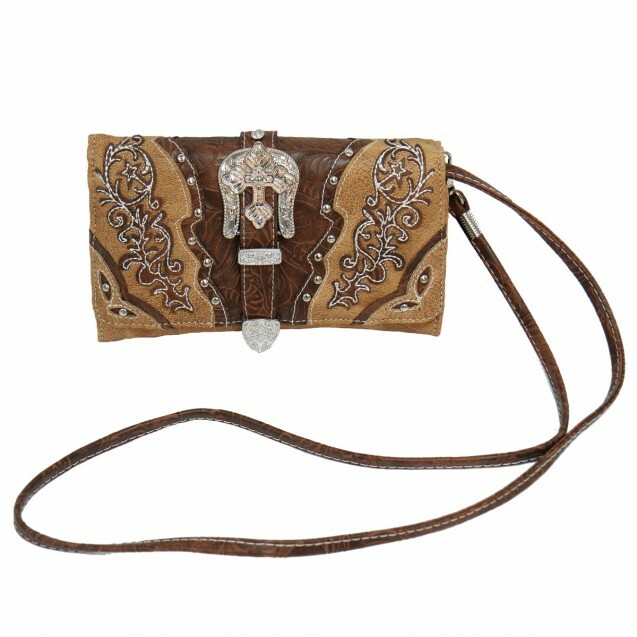 This beautiful clutch has 5 inner pockets. ID windows, and a magnetic snap closure. 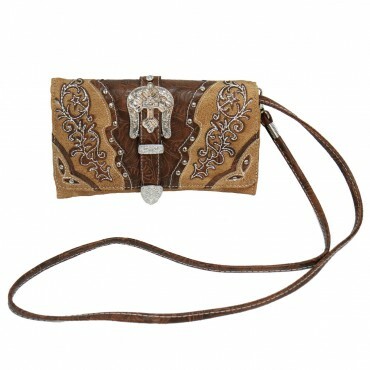 Comes with a detachable wrist-let strap and a detachable purse strap.